Motorcycle accidents can be life-threatening and life-changing. There are plenty of statistics that show the dangers of motorcycle accidents and the severe injuries that can result. These motorcycle accidents can have tragic results that can devastate people’s lives. Approximately four out of every five riders will be seriously injured in a motorcycle accident. As you can see, the odds for a minor accident are not in your favor. Motorcycles leave people in a very vulnerable state, as there is nothing between your body and the road’s surface, leaving you exposed to many different, painful injuries. If you or a loved one has been injured in a motorcycle accident, you need to seek the advice and counsel of an Aurora motorcycle accident lawyer. A motorcycle accident can be a life-changing experience. If another person caused your accident, then you can recover for the damages you suffered and from which you are continuing to suffer. It is vitally important to know who was at fault for your motorcycle accident. As a result, you will need a qualified Aurora motorcycle accident lawyer. Your likely large hospital bills, future medical expenses and the damage to your motorcycle necessitate that. If someone else caused the motorcycle accident, you should not have to pay for those expenses. The Aurora motorcycle injury lawyers at Zinda Law Group can help you through every phase of your case and can explain your rights. If someone else is at fault, our team will get to work on your case to ensure that you are properly compensated. 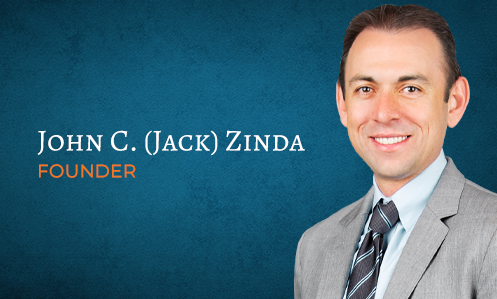 Call Zinda Law Group PLLC at (720) 536-0760 today to learn more. We are here to answer your questions about any recent Aurora motorcycle accident. Our Personal Injury attorneys will assist you in making an informed decision about whether to move forward with legal action.